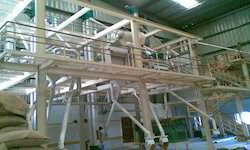 Manned by a team of sincere and skilled professionals we are today counted among one of the leading manufacturers, suppliers and exporters of a wide array of Grinding Machineries mended to use for grinding wheat, pulses, spices and various others and are blended using standard quality raw materials supplied to us by our reliable vendors in the market. Our product-line is available in a variety of sizes, shapes and designs so that we can efficiently cater to the variegated requirements of our esteemed customers in affordable prices and with on time deliveries. 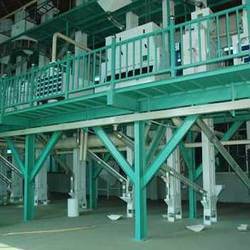 We have recruited a dexterous team of professionals, which greatly assists us in all the activities of our Seed cleaning Plant machinery best for milling Rice. Our experts are hired after stringent recruitment that are conducted to gauge their ability, skill and knowledge. All our experts dedicatedly and sincerely work to offer an impeccable array of best quality trainers to the customers with customization done as per demand with quality checking and on time deliveries. 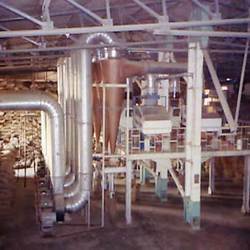 We are facilitated with a classy infrastructure facility, which is sprawling as one of the best manufacturing industries for Dal Mill Plant machinery today with the technologically updated machines and equipment that are governed by our skilled workforce and reliable engineers. we are also well known for our affordable prices and on time deliveries and providing best-in-class quality fans. Our domain expertise has enabled us to come with a remarkable best quality Pulse Mill Plant Machinery to our valued clients. We procure finest quality metal from reliable vendors to develop the offered assortment. All our products are widely demanded by the customers for their high durability and long lasting features. Moreover, we ensure that quality-approved products are delivered at patron premises within the stipulated time-period and in affordable prices. 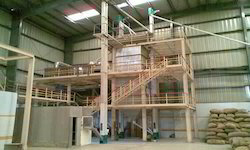 Looking for Grinding Machinery ?